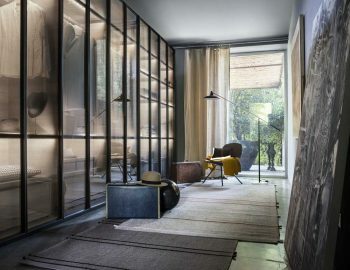 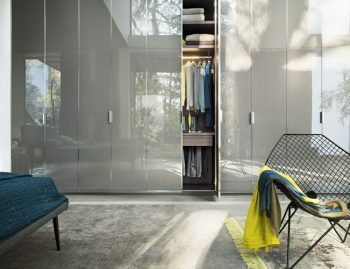 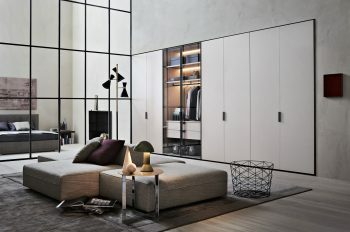 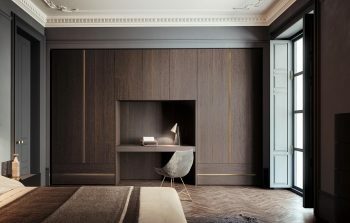 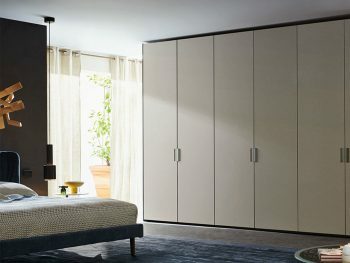 Hinged door wardrobes are great for many spaces, especially when creating corner compositions. 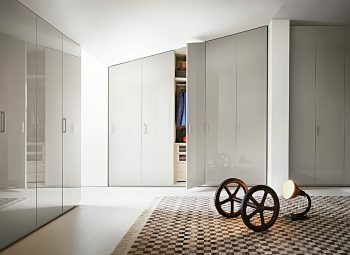 In addition to this they are perfect for more open spaces, allowing you to fully open the doors. 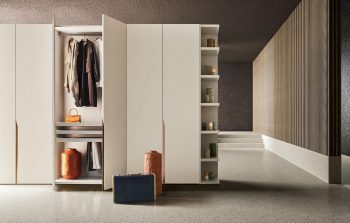 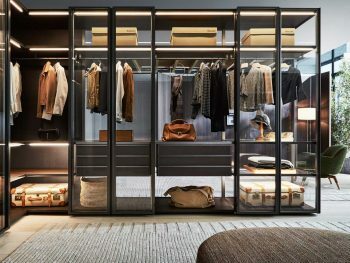 You can create a truly modular set up to suit the amount of space you have. 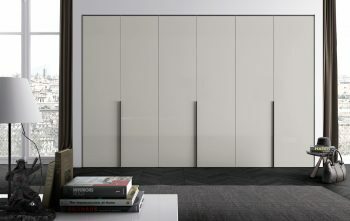 Many of our hinged doors have an array of handles to choose from. 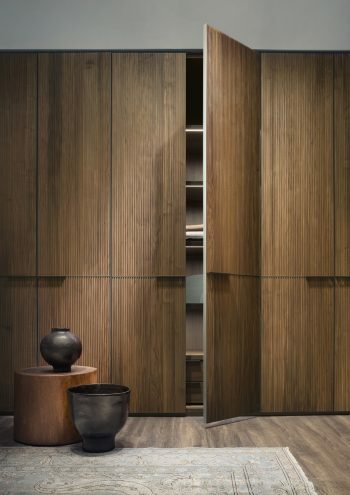 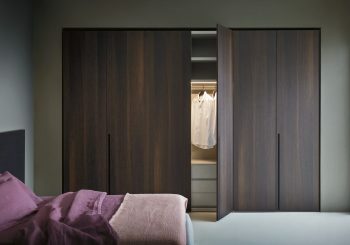 You’ll also see a selection of doors that are characterized by a unique handle detail. 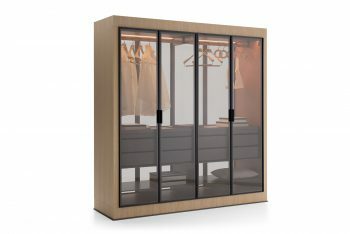 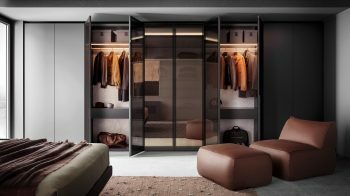 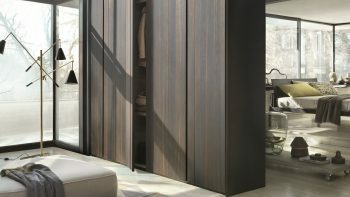 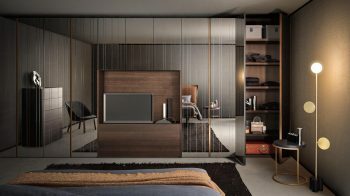 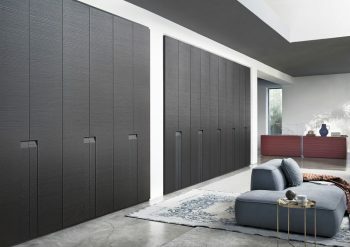 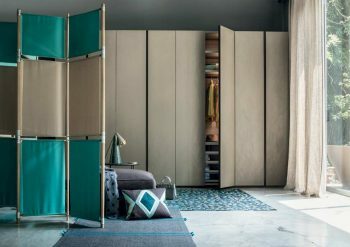 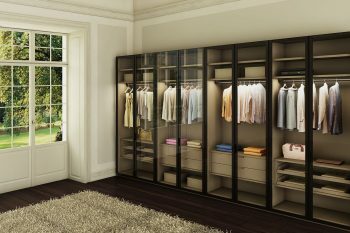 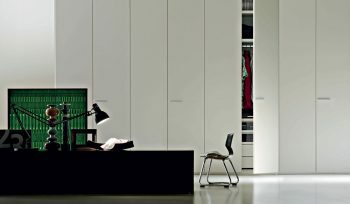 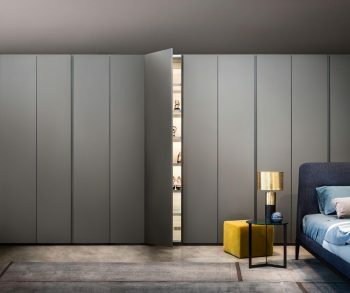 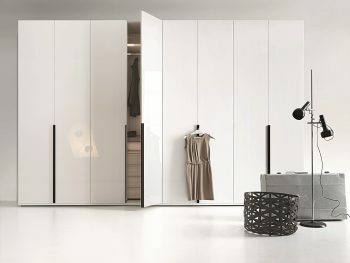 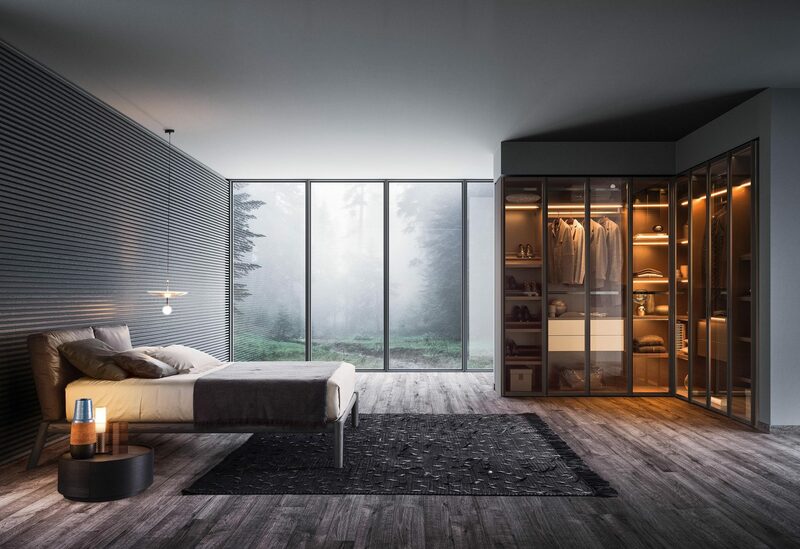 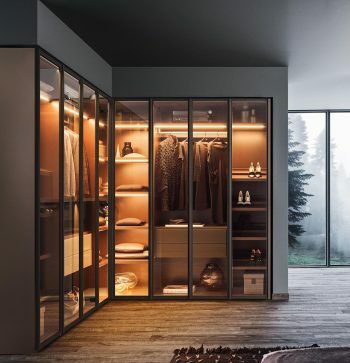 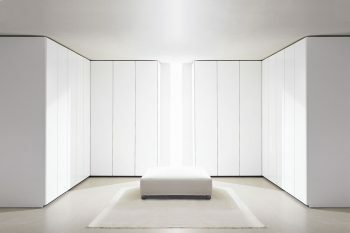 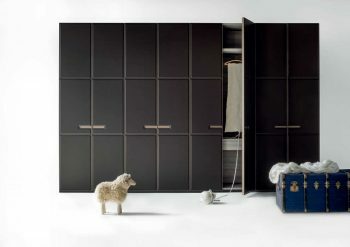 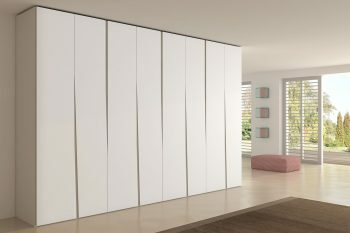 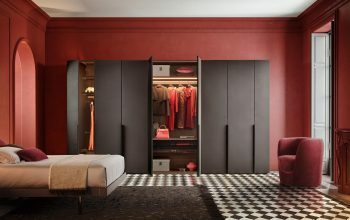 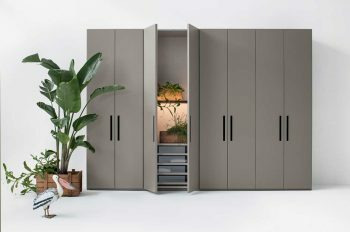 Choose from a range of different Italian made hinged door wardrobes right here. 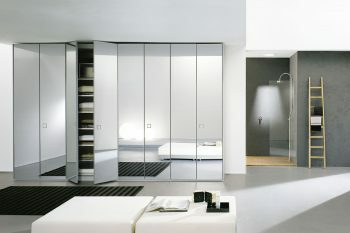 Customization is easy with a range of styles, sizes, finishes & internal accessories available from across our brands. 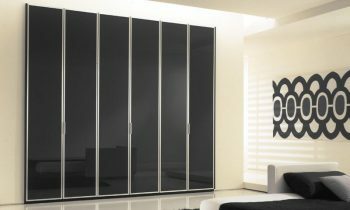 Our hinged door wardrobes can also be fitted or freestanding.